We are specialists in terms of ECU development for the vehicle and mobility industry. Calibration is the optimization of the parameters of the electronic control unit to achieve the targets regarding road performance, power output, emissions and fuel consumption as efficiently as possible. Task of the calibration is to guarantee the target achievement reliably at all environmental conditions the vehicles are operated. It has to compensate production tolerances at the manufacturer and the aging behavior at the customer. The effort to ensure a perfect engine running at all the above mentioned variable conditions is considerably bigger than for the calibration of the brand-new vehicle without tolerances at standard environmental conditions. During the development the calibration department is moreover responsible for making the test vehicles run in a way that the target achievement can be proved early and all corresponding departments have a suitable basis to start their own work. This has to be valid for all construction stages and for all modifications made during development. An calibration is well done when it achieves the targets reliably and with minimal effort. A good calibration is the key to customer satisfaction and to avoidance of security-relevant defects, updates, product recalls and thus high costs. The SGE Ingenieur GmbH is a specialist in the field of ECU Calibration. We have done all kinds of calibration, from one- to six-cylinder engines, from simple to torque-balanced drive-by-wire systems, from sports enduros to luxury tourers, from the predevelopment to support of the series production. Combined with comprehensive understanding of the system and the steady striving for efficiency we are able both to carry out the calibration of new vehicles and engines reliably and speedily and to make modifications at subsystems which smoothly integrate into the complete function of the engine management system and the electronic vehicle network. By making a suitable choice of methods and automation support, recurring tasks are dealt with efficiently. A thorough verification provides a reliable avoidance of series problems. Besides competences and experiences we own all necessary hard- and software to reach the targets reliably. And when something does not yet exist, we start to develop it - like our SGE Circus. So we are well prepared to to offer calibration services with the same efficiency and quality for all calibration projects. No matter, if on road, off road, on the racetrack, on water or in the air - The SGE Ingenieur GmbH is the competent contact regarding calibration issues. The quality of a function is put together by on the one hand the possibilities the function itself offers and on the other hand the calibration, which realizes the potential. The very best function will not work well, if its parameters cannot be calibrated in an ideal way, because the available capacity during development is not enough. Otherwise a function which does not provide the necessary possibilities, will not create the desired results even with the most extensive calibration. Task of the Functional Development Department is to create a software-structure, which fulfills the demands given by the functional requirements and keeps the effort for calibration at a reasonable level. So the reproduction of the physical context and the empiric approach have to be balanced carefully. The physical approach has two main advantages: It can be easily structured understood. The disadvantage of the physical approach is the increasing calibration effort and the risk of having unconsidered side-effects because of the higher complexity of physical systems. In contrast, empiric approaches try to reduce software paths, and make the whole software structure less complex by centralizing and concentrating on the really necessary parts, based on experience. This leads to a reduced calibration effort, but probably also to reduced possibilities of the software functions. All kind of hybrid types between the physical and the empiric approach can be realized. A lot of experience is needed to choose the best concept for every specific application. Furthermore the Functional Development Department has to see to it that the software structure of the ECU always keeps comprehensible and clear. When add-ons or changes are necessary, they have to be implemented in a way that the calibration engineer is able to estimate and evaluate the impact on other parts of the software structure. When a smart software function reduces calibration effort or enhances calibration quality, it is especially worth it, because the advantage is multiplying by circular calibration tasks of several projects. The SGE Ingenieur GmbH is the ideal partner when new functions have to be designed or existing ones have to be adapted. We are experienced both in the fields of calibration and functional development, which enables us to choose the best way between physical and empiric approach to make sure that the function performs as desired, the calibration is only as complex as necessary and the function integrates into the actual software structure. To avoid expensive software changes, new functions are simulated to ensure their functionality. We naturally offer a perfect documentation to all developed functions, which consists of text and graphics. This enables the calibration engineer to have a quick overview as well as to understand all details of the function. So the documentation provides the basis for an efficient and well done calibration. 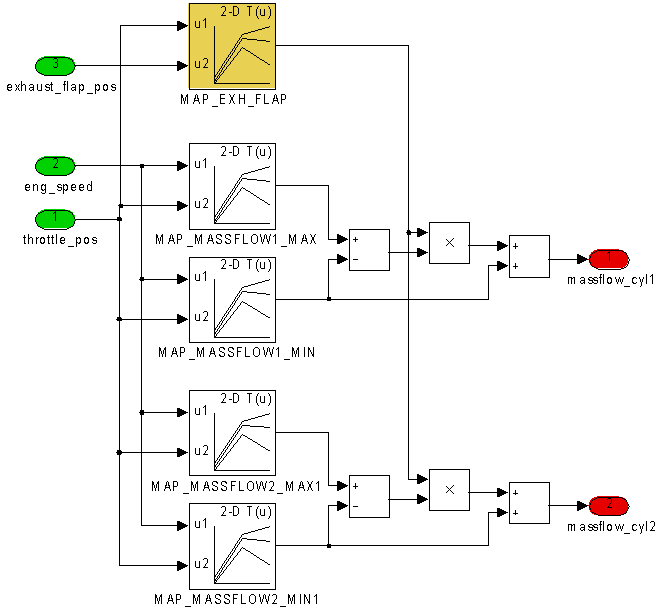 (*) MATLAB, Simulink and Stateflow are registered trademarks of The MathWorks Inc., Natick, MA, USA. (*) dSPACE is a registered trademarks of dSpace GmbH in USA and/or other countries. Measuring is the basis for ECU-Calibration. The information necessary to do the calibration of the parameters of the Engine Management System are obtained from measurement data. An automation of the calibration is reasonable when circular tasks are done or there are special demands concerning accuracy and repeatability. By automating these kinds of tasks a considerable increase of efficiency can be seen. Both the measurement and the analysis of measurement data can be automated. The automation of the measurement is mainly used at engine and roller testbenches. 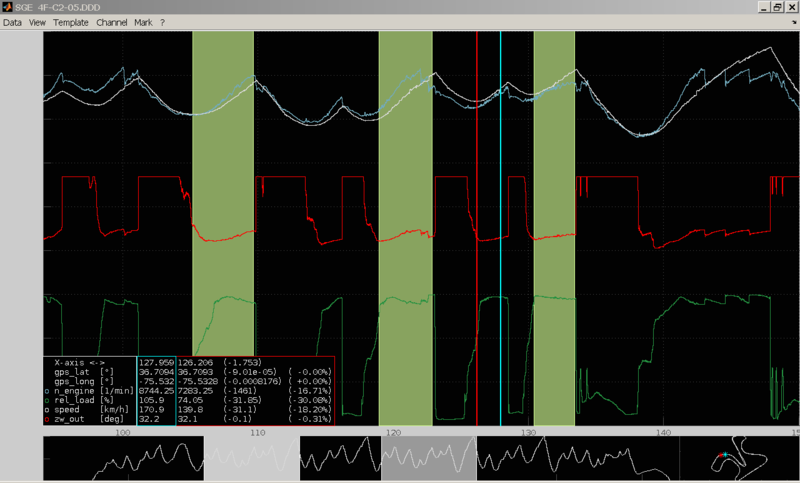 Several systems like testbench control, ECU and emission analysis system are linked and run automatically. With this approach periodic measurements which are necessary to do e.g. the calibration for load-calculation or torque-model can be done more efficiently. An example for a vehicle application of automation is the automated check of the start calibration. Many starts at changing environmental conditions can be made with little effort. The automation of the measurement data analysis starts when the measurement is finished. The measurement data has to be checked and transformed into a format suitable for the ECU. 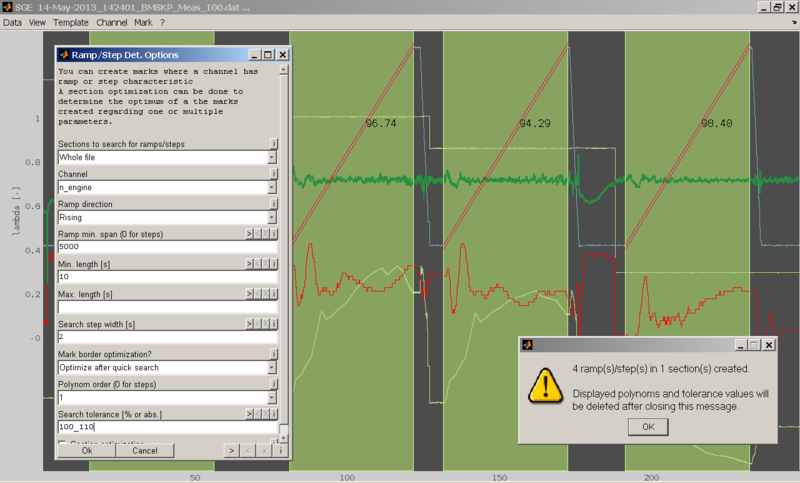 Maps can be made from measurements, measurements of the torque model can be evaluated or measurements of endurance tests can be analysed automatically. We develop customised solutions for your development fields. To be able to interpret the results, it is especially important for the user to understand the operating mode of the automation very well and to operate it experienced. Based on our well-founded calibration experience we can create the interface to the user accordingly. This is why all of our automation solutions come with a suitable interface and a high quality documentation. The SGE Ingenieur GmbH is the competent contact when consulting is needed in the fields of ECU Calibration and Functional Development. To achieve the best results for the vehicle it is necessary that function and calibration harmonise perfectly. We were able to accumulate a lot of experience with different ECUs, engines and vehicles. To make sure that the desired results are achieved, development progress has to be assessed on a regular basis. Reviews of functions and calibration assure that goals are accomplished. We support you to keep test-vehicles and engine benches running during development, to achieve your objectives in time for releases and start of production, to ensure customer satisfaction and high quality at the customer. We provide expert knowledge in terms of ECU functional development, calibration and combustion development. Supplemented with years of experience we are able to work on complex tasks qualifiedly and to develop new solutions where standard approaches fail - such as System optimization for the automated calibration of entire ECU functions. We attach special importance to generate optimal results from the resources available. The compliance with aims and timetables is natural for us. We react to changes of the boundary conditions flexibly. In short: We are fast and good. Technology and innovations must work with the customer - and this reliably over all vehicles and environmental conditions with the customer. Even if vehicles, engines and electronic control units are developed on test beds and measuring areas, we always put special attention on the suitability and reliability with the customer. So that this can be reached, the functions and methods must be so arranged that they are understandable, easily comprehensible and manageable for the developers. And when these methods do not yet exist, we start to develop them - like our SGE Circus. Quality is if goals aren't accomplished by chance but during the development the progress is assessed and deviations are recognized on time. Therefore are for us planning, verification and documentation integral parts of the work as engineers. As a small company, we have learned to master the economic challenges in the environment of large companies. Competence and efficiency are the keys to success. Together with strong partners, we form a network that forms the basis for a wide range of services and products. We are therefore committed to the standardisation of development and test systems that facilitate the simple exchange of data or methods. In addition, we support the "OXFAM" initiative, which supports small and medium-sized companies in poor countries in building up a sustainable economic existence on their own. To be a good calibration engineer you do not necessarily need to perform magic. But it helps a lot. For this reason we developed a series of tools which broaden the horizon in terms of measurement data analysis, map optimization and model based calibration - the SGE Circus. The SGE Circus runs on Windows operating systems. We recommend to use a 64bit operating system with at least 8GB of RAM. (*) Microsoft and Microsoft Windows are either registered trademarks or trademarks of Microsoft Corporation in the United States and/or other countries. Any number of maps can be imported from various sources. 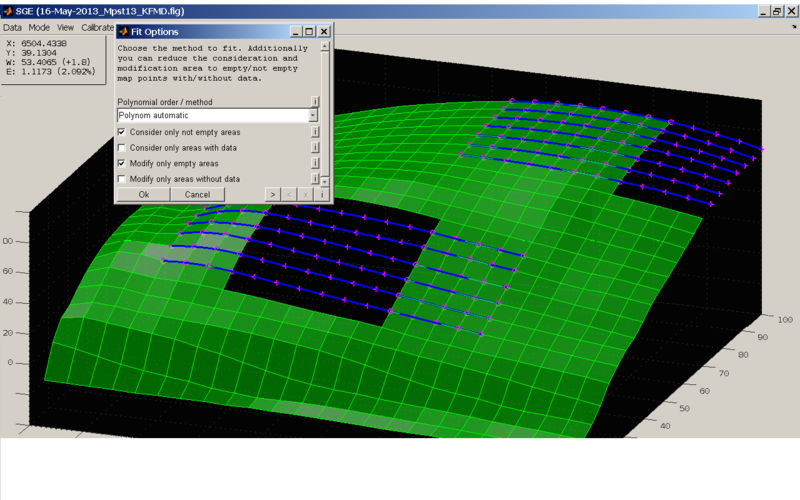 The 2D / 3D and table views allow a customized display. By overlaying the maps with measurement data a clear and accurate assessment of the quality of the application is possible. Automated algorithms and comfortable manual operation enable efficient optimization and smoothing of maps in consideration of the agreement with the measured data. Using sessions enables to quickly manage and exchange data evaluations. A graphics export allows to print and present the results. All dialogs have a history and filters to find former inputs quickly. All dialogs offer export and import functionality to load and document inputs. Axes, fonts, sizes adjustable. Adding notes, highlights, etc. (*) Apache OpenOffice or Microsoft Excel must be installed for full functionality. Apache and OpenOffice are registered trademarks of The Apache Software Foundation. Microsoft, Microsoft Windows and Excel are either registered trademarks or trademarks of Microsoft Corporation in the United States and/or other countries. (*) INCA is a registered trademark of ETAS GmbH, Stuttgart, Deutschland. Data can be quickly and easily loaded from an arbitrary number of files in different formats and may also be superposed. Numerous options and calculated channels are available. An automatic synchronization of time-based MDF measurement data with crank angle based indicating data is possible. 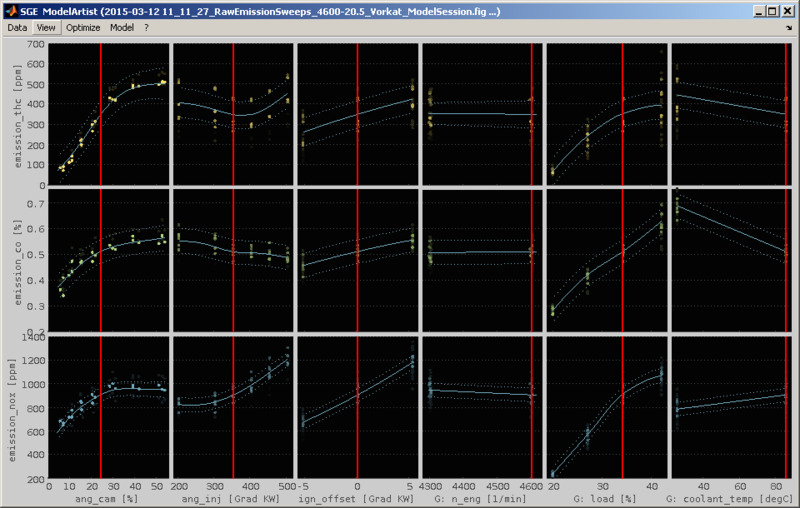 The display is provided via the axis of the loaded data or as xy plot. Through a overview and GPS section, it is easy to orient themselves within the measurement data and to navigate. Cursor enable convenient quick evaluation. The display of the data can be configured with numerous options and is almost completely operatable via keyboard and mouse. For data analysis constant areas, ramps etc. 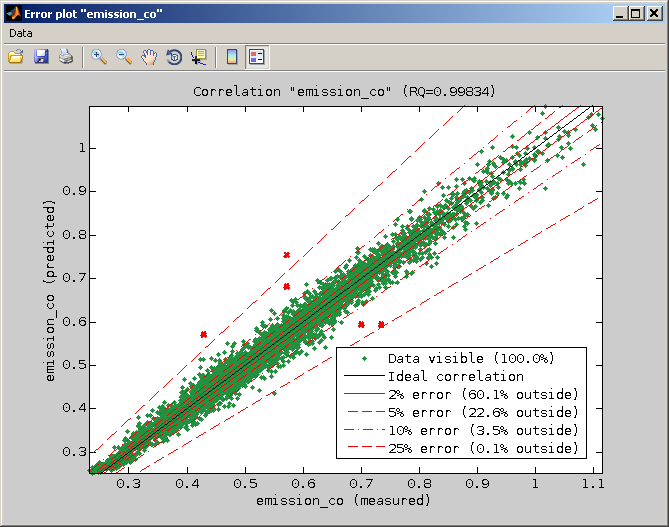 can be recognized automatically and eg are processed by statistical evaluation. A "Section Optimization" allows to perform sophisticated analysis such as of ignition sweeps. Using sessions and templates enables to quickly manage and exchange data evaluations. A graphics export allows to print and present the results. 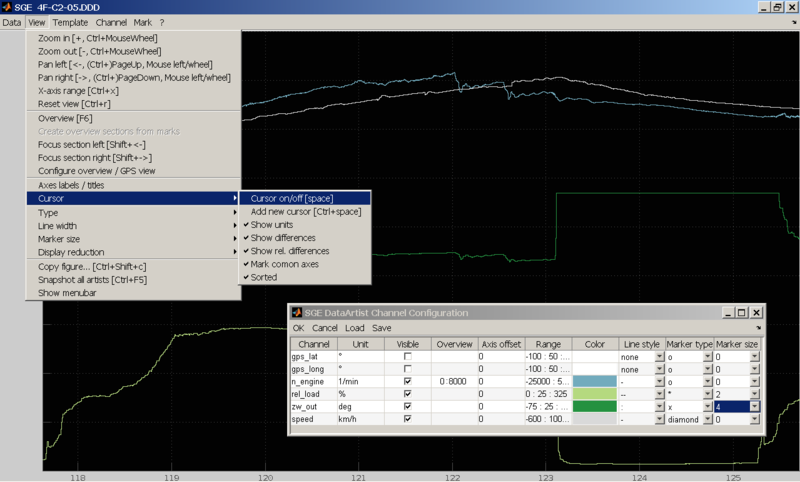 Automatic synchronization from IFiles to respective MDF measurements. 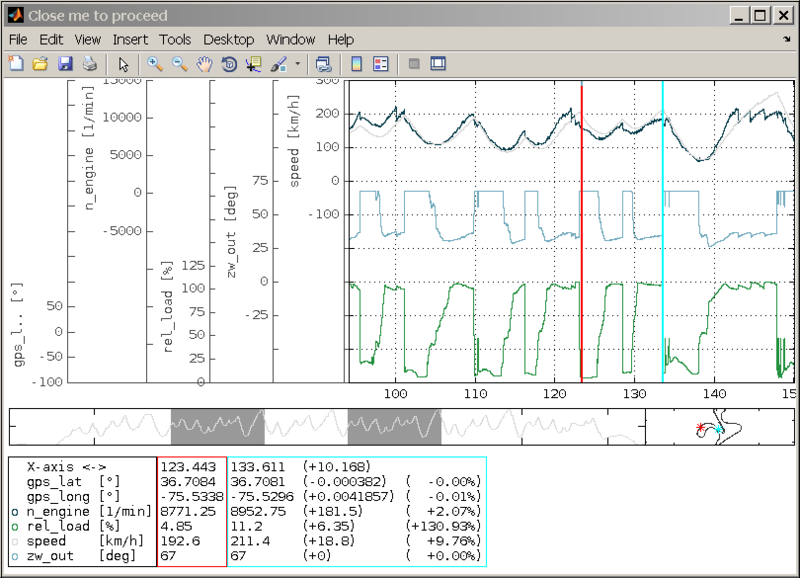 This enables a parallel evaluation of crank angle based indication measurements, e.g. cylinder pressure traces in time based measurements. Any number of files and FileSets can be loaded and are synchronized automatically. The whole session including data can be stored. After re-opening the whole functionality can be used again immediately. The session-configuration can be stored as a template. LastTemplate allows to reconstruct the last session without previous saving. 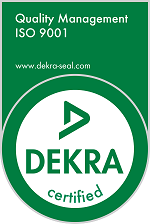 Ramp detection: Automatic detection of constant phases, ramp measurements, cost down measurements ect. Evaluation of ignition sweeps, parameter variation of injection angle, camshaft actuator etc. (*) ©2018 Google LLC All rights reserved. Google is a trademark of Google LLC. The correlation between an arbitrary number of input / output channels is displayed in a matrix view. Cursors and zoom functionality is used to adjust the display to the relevant data. Thus it is possible to handle relations of high dimensions on the flat screen in a convenient manner. Different kinds of models can be trained to fit the data and enable the homogeneous display of scattered data. 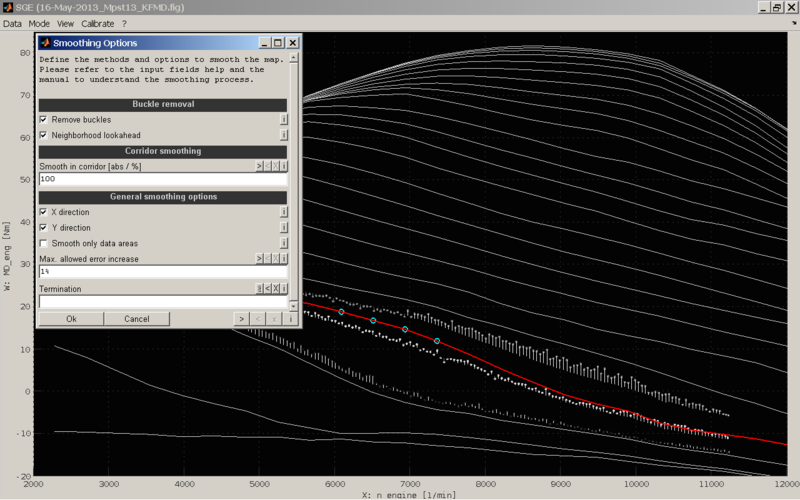 Based on the models, on the one hand an optimization of individual engine control parameters can be carried out (e.g. emission reduction) as well as the automatic calibration of entire ECU functions (e.g. 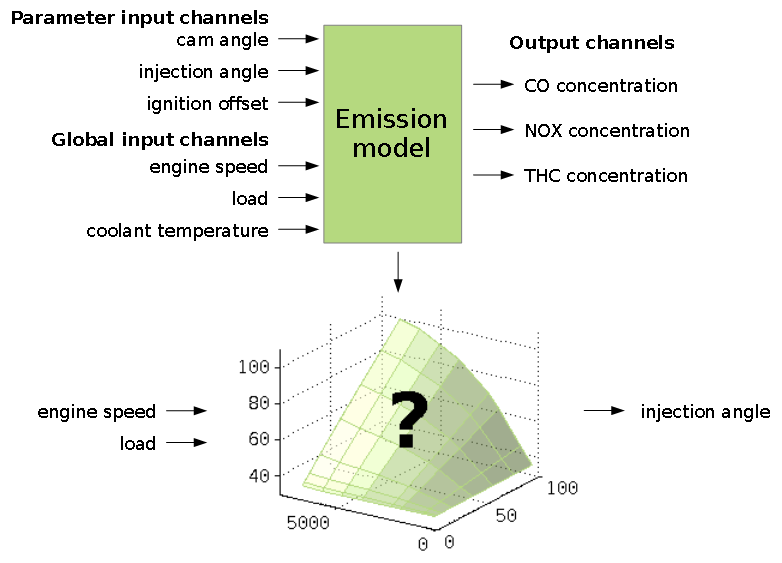 exhaust-gas temperature model). 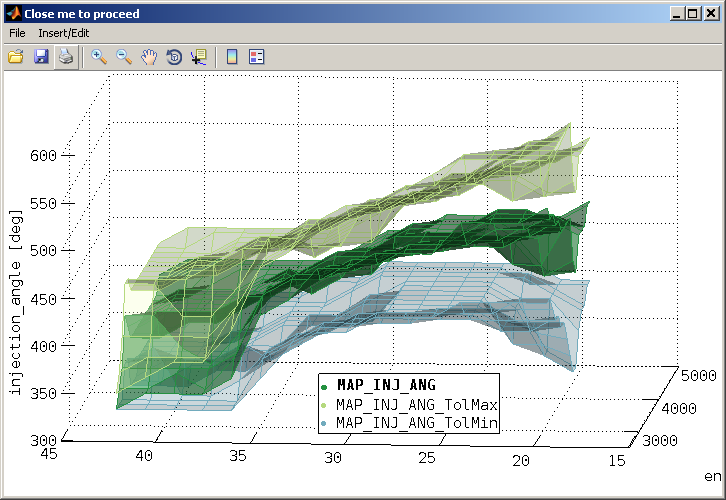 Extensive functions to create statistical test designs are available (DoE). 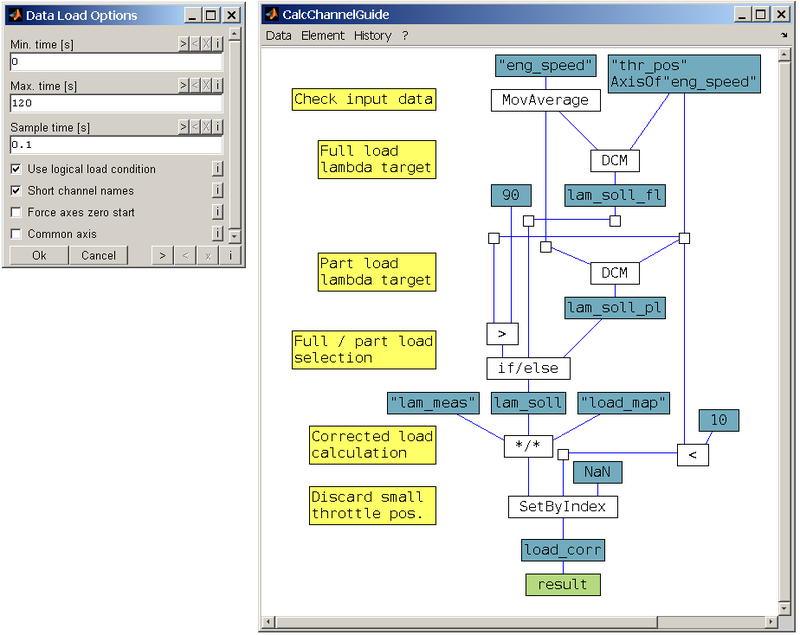 Definition of calculated channels including features like map interpolation and Simulink systems integration. By direct use of filters and calculations, the pre-processing of data can often be eliminated. Various predefined label sets "All master labels", "All labels from all datasets", "All labels from active datasets"
By combining the extensive functions and intuitive operation of Mathworks Simulink and Stateflow with these interfaces, online functionalities, automation and control tasks that interact with ECUs and CAN bus networks can be implemented conveniently and quickly. Additionally signals can be received and transmitted in CAN bus networks. (*) INCA is a registered trademark of ETAS GmbH, Stuttgart, Deutschland. (*) MATLAB, Simulink and Stateflow are registered trademarks of The MathWorks Inc., Natick, MA, USA. 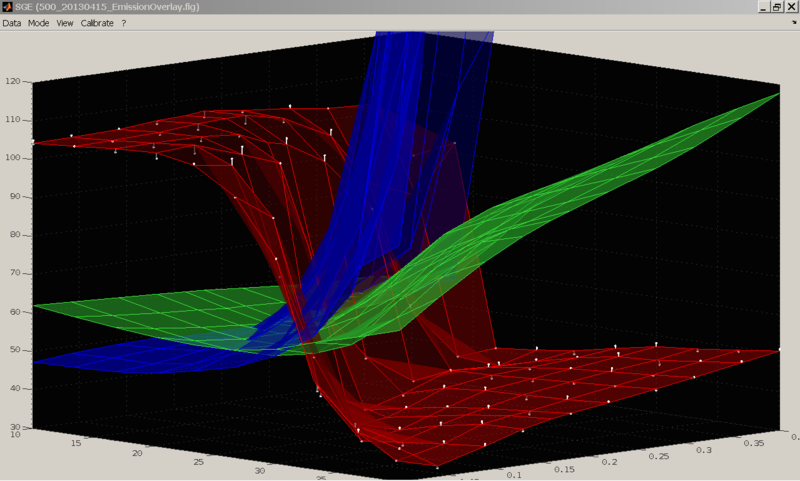 The SGE Viewer is used by ourselves and our customers to visualize the results of measurement analysis and calibration. 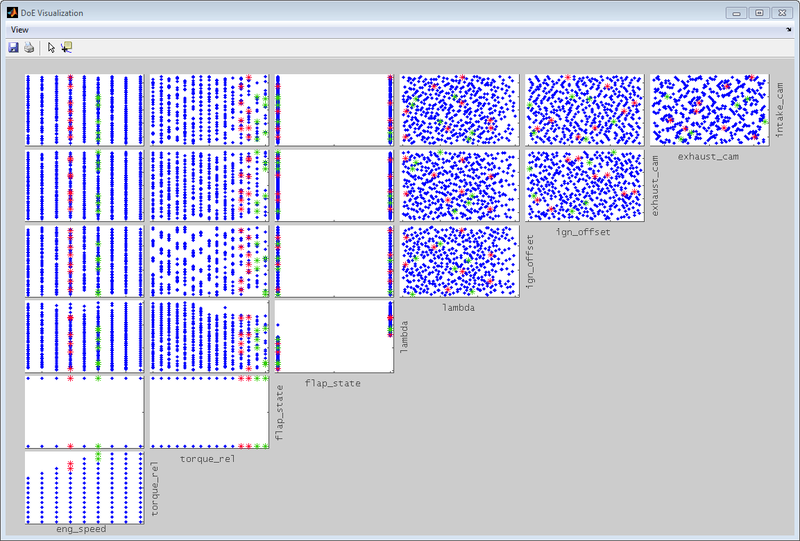 We prepare the results as special MATLAB(*) figure files, which can be loaded with the SGE Viewer. Like the MapArtist it supports the superposition of maps and measurements points. To be able to quickly compare different calibrations and configurations, a "Data Items" window is available, which allows to switch on and off the elements shown - for example based on criteria like measurement name, dataset, cylinder etc. Any criteria assignable to the data can be used during creation of the figure-files. Since it is a mere visualization tool, no changes to the data or maps can be made. But probably e.g. it is possible to copy data to the clipboard and export graphics preconfigured for e-mail or office software. The display can be configured with respect to color, transparency, lines, dots, and light source. Combined with rotate and zoom functionality a quick and transparent evaluation of different calibrations superposed with measurement data is possible. 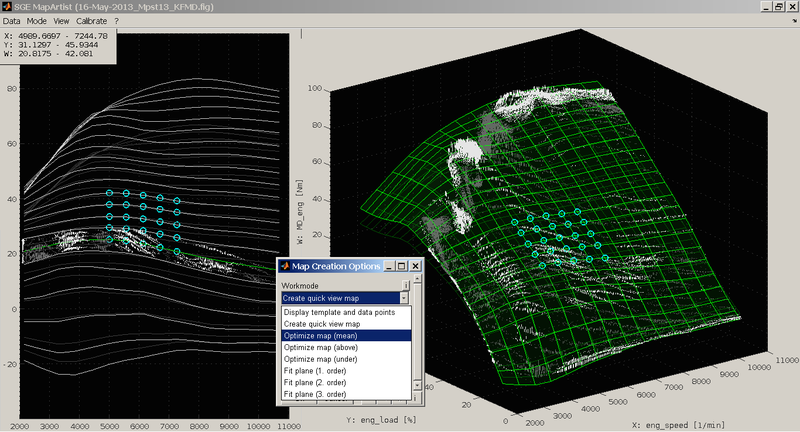 The SGE Viewer is developed in MATLAB (*) and is utilized compiled. It is available license free and executable without MATLAB after installation of the freely available MATLAB Compiler Runtime (MCR). Our software OcrArtist enables to acquire measurement data autonomously without the need for standards or interfaces using OCR (optical character recognition) from the screen. As a service partner in the field of ECU calibration we work with different ECU-, measurement-, calibration and testbench-systems. 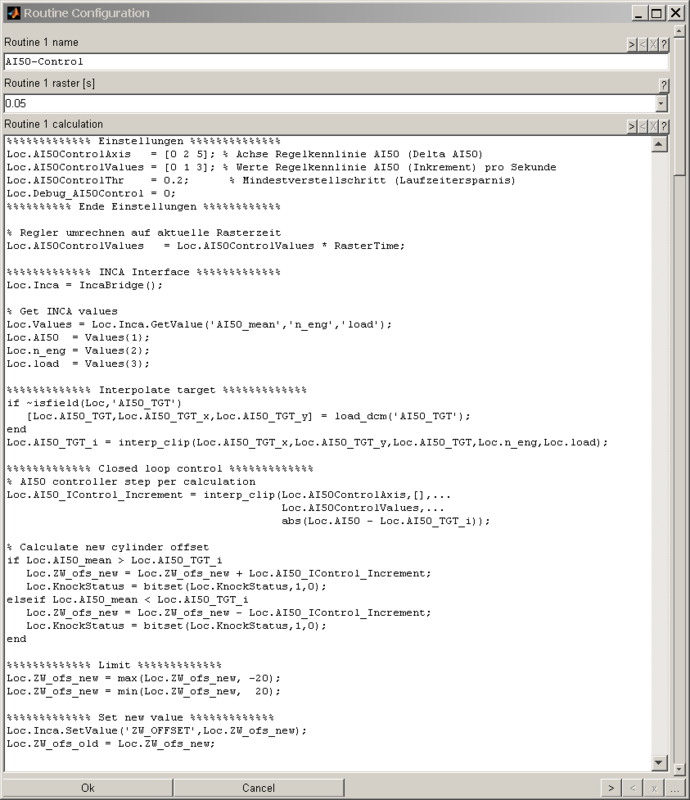 For an efficient calibration it is necessary to be able to log all relevant parameters of all involved systems in one file. Standards for interfaces as established e.g. by ASAM are partly not yet implemented in existing systems or the systems are not even designed for. All systems have a interface to humans in common which allows to display measurement values on a screen. 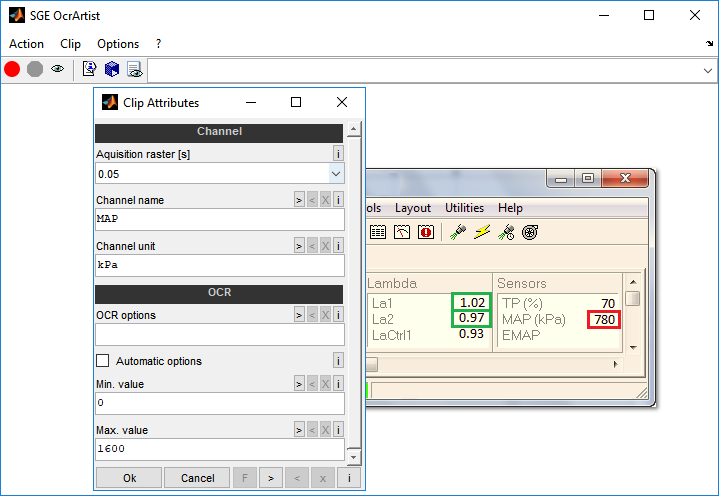 This interface is used by our measurement software OcrArtist to capture and record the displayed values by OCR (optical character recognition). OcrArtist enables the user to define and configure measurement channels comfortably. 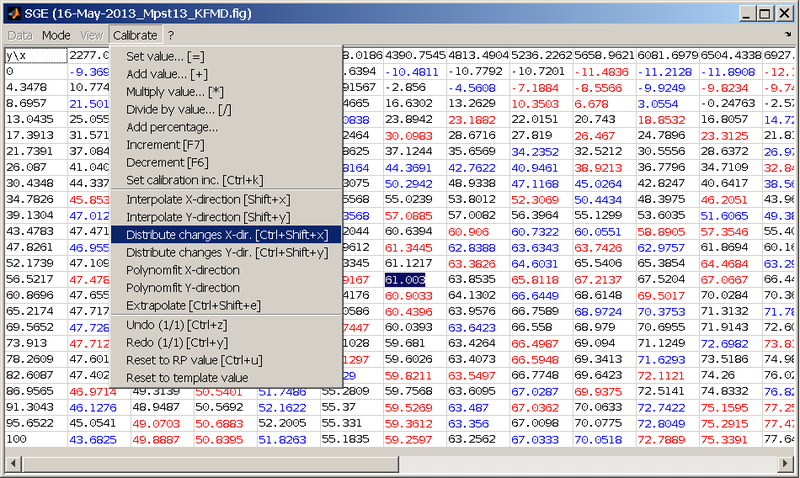 Clippings of any number of program windows can be defined which contain a measurement value. For each measurement value a channel name, channel unit, settings for character recognition and plausibility limits can be set. The measurement values can be acquired in different rates. 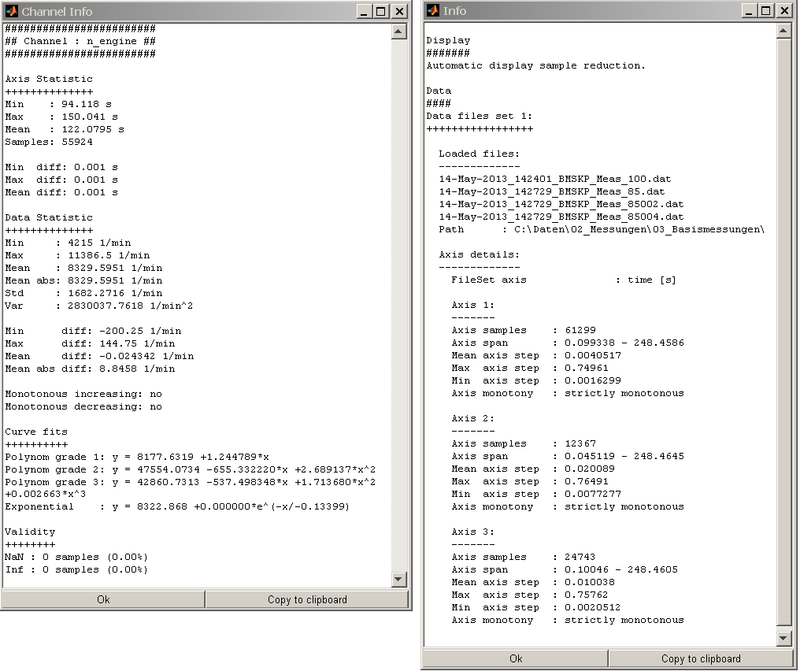 The highest rate depends on CPU power and the number of captured values/windows and is about 10ms. The acquired data can be transmitted by CAN or be stored as a data file which enables the data analysis with popular analysis tools without problems. In this way values of different measurement systems can be acquired in one file. Via Remote-Desktop values from different computers can be acquired using network connection. The OnlineCalibrationArtist supports you calibrating efficiently and using test bench capacity in an optimum way. It provides the opportunity run so called routines cyclically. 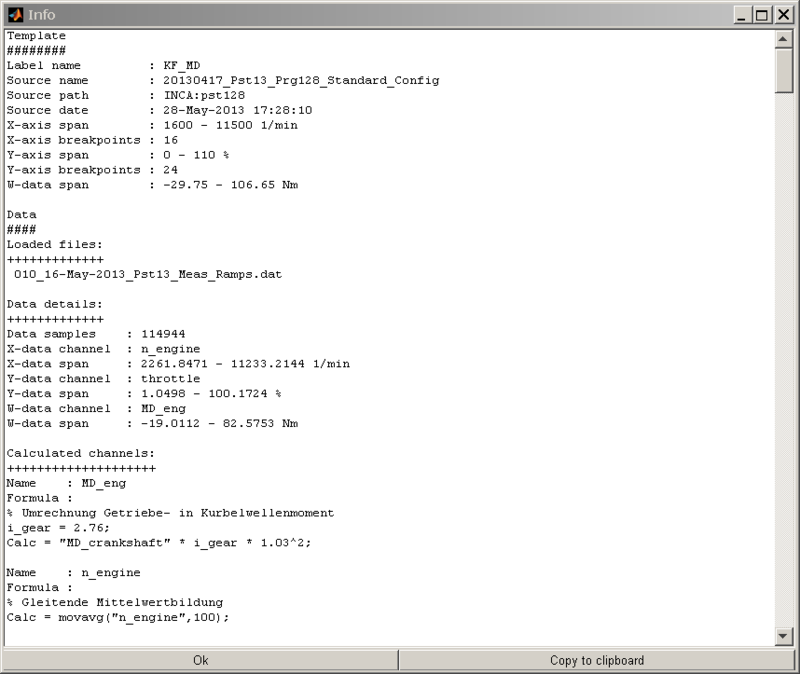 These routines contain commands in MATLAB(*) syntax. 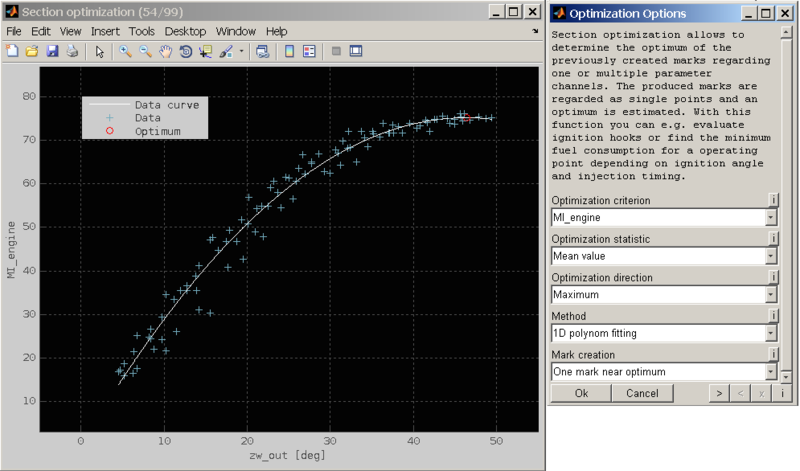 The whole functional range of MATLAB is supported. Any number of routines can be configured which can run separate period types. 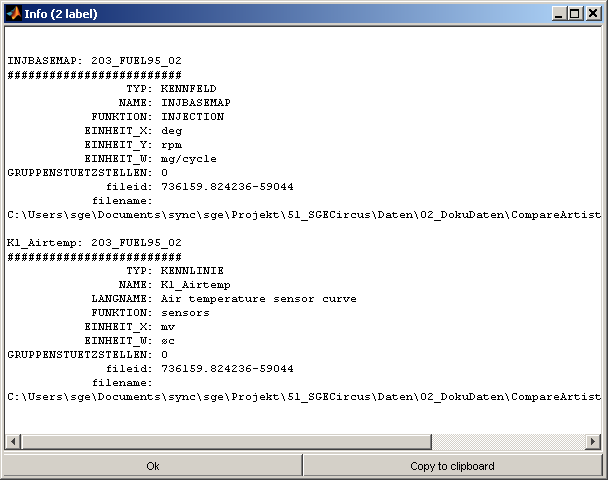 Besides an interface to INCA (*) as well as for CAN-message output and receipt is integrated. The INCA interface allows adjustment, receipt of measurement values, start and stop measurements and switch between working and reference page inter alia. Also the access to measurement values from hardware connected to INCA e.g. indicating system is possible. In this way it is possible to perform various tasks automated. This can be the main task or in the background to support manual calibration or existing test bench automation system. Depending on ECU connection and computer performance relatively quick controls can be realized - e.g. the cylinder individual control of Lambda and location of center of combustion incl. knock detection (8 controllers) with 30Hz. The OnlineCalibrationArtist includes a graphical user interface which allows to start, stop and monitor the routines. Actual run-times and load as well as errors and warnings occurred are displayed and monitored. A SafeStop, which e.g. cuts injection, can be defined as a reaction to warnings and errors and for manual intervention. The actual operating point like e.g. location of center of combustion, knock criteria or Lambda is read through the INCA interface. 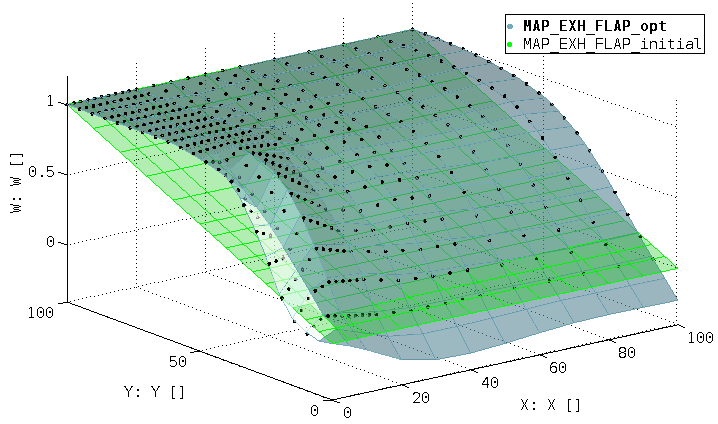 The set point is interpolated from a map depending on the actual operating point. The control makes the actual value meet the set point by quick adjustment, of e.g. a ignition angle offset label, in INCA. I this way it is possible to make measurements designed to calibrate the load calculation function of an ECU for instance, were the engine is already operated with correct Lambda and location of center of combustion. This permits to calibrate the ignition and torque maps from the very same measurement. A stage-to-stage procedure measurement - load calculation - measurement - ignition - measurement - torque is not necessary any longer. Due to the possibility of measurement and adjustment with INCA, e.g. ignition sweeps or injection angle sweeps can be run fully automated and stored to separate files which can be provided with a name describing the operating point. With an up-to-date computer and ETK-ECU ignition sweeps with 30 increments in one second can be performed without problem. Monitoring that requires complex calculations is easy to implement. 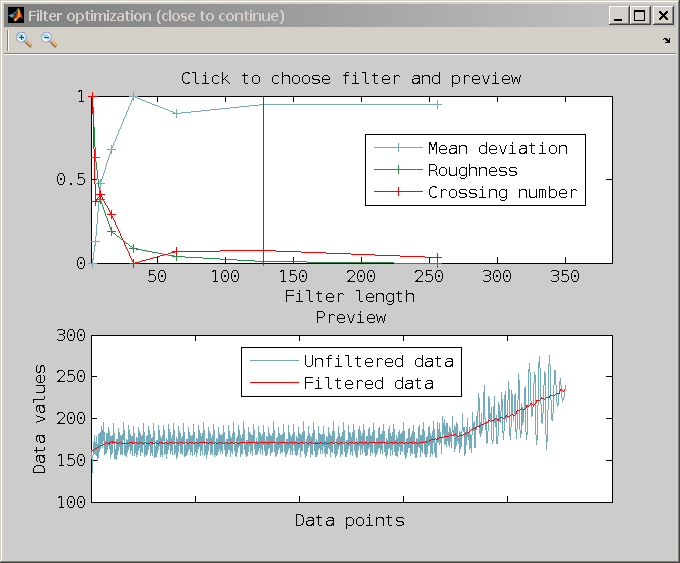 Due to the possible use of all MATLAB functionality and syntax, it is possible to interpolate maps, apply filters or implement operating point specific warning times. There are several ways to find the optimum calibration of an ECU function. In addition to classic, full factorial screening, more modern DoE methods are applied. If the goal is not to create offline-capable models, but "only" finding the optimum calibration and a possibility to evaluate the quality of the calibration during engine operating exists (e.g. 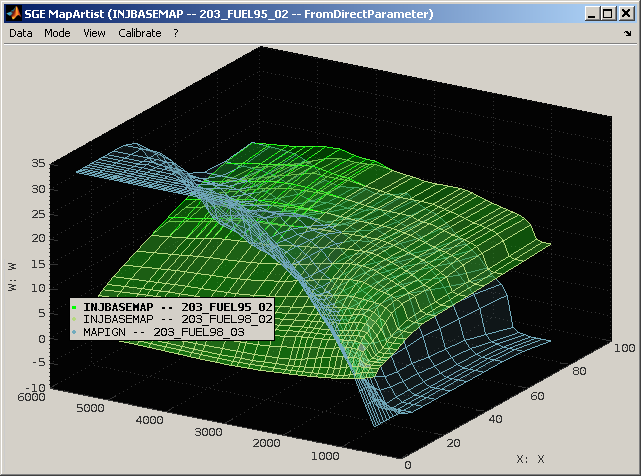 measurement of specific fuel consumption), theoretically any optimization algorithm can be used to search the optimum. 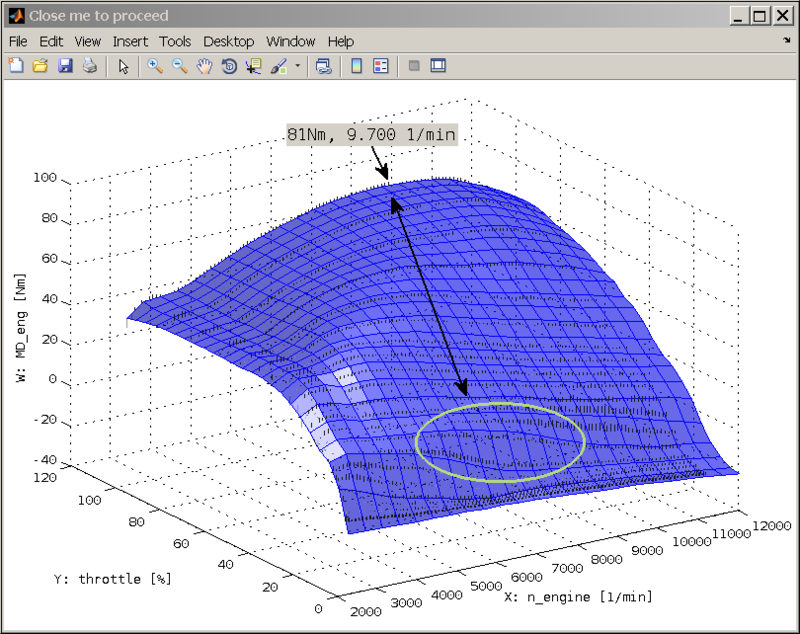 This is theoretically a very simple and effective method, which is in practice usually difficult because the problems to be optimized are not linear, have no pre-defined parameter limits and measurements are subject to variations. To such problems often genetic algorithms are applied, but these are quite complex and often must be parametrized consumingly. The SGE Ingenieur GmbH uses a modified PSO Particle Swarm Optimization algorithm for online optimization. It uses a set of combinations of parameters (particles) which iteratively moves trough the parameter space. Each particle of the swarm starts at a randomly determined or specified start position. Its direction of motion and velocity is influenced both by its own best position of the past (individual), and the current position of the best particle (social). In this way, the swarm moves towards the optimum. Because the PSO algorithm does not use gradient information like other algorithms and parameter combinations can be taken several times, it is particularly suitable for optimization problems that are affected by measurement variations. Moreover, only very few parameters of the algorithm itself need to be tuned, which qualifies it to optimize new or unfamiliar systems. The PSO algorithm was introduces 1995 by Dr. Eberhart and Dr. Kennedy. 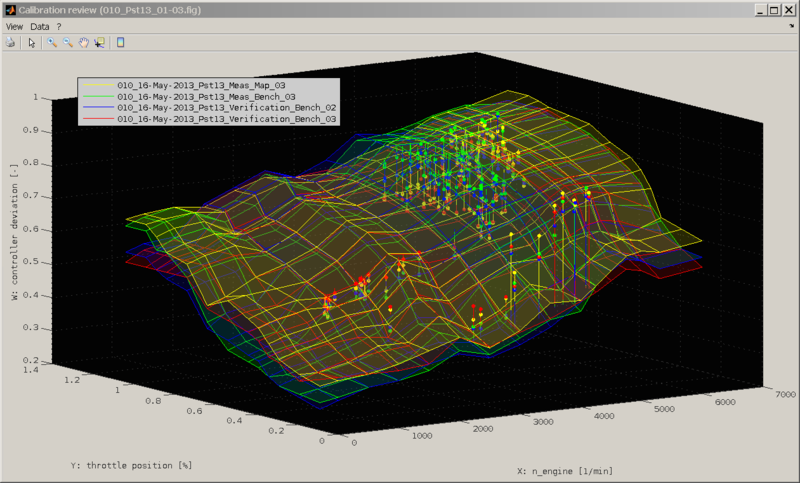 Die SGE Ingenieur GmbH performed some changes and made expansions to make the algorithm suitable for the technical praxis of ECU calibration. 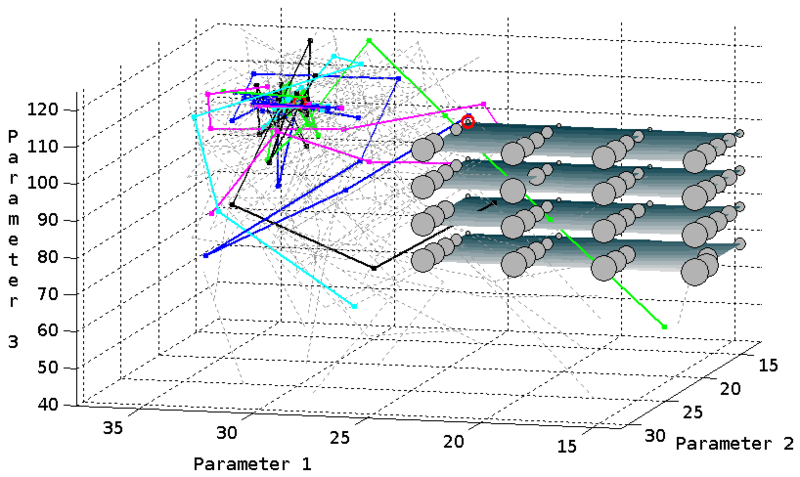 This figure shows a comparison of a factorial measurement to the PSO optimization. The factorial points are displayed as balls. The smaller the better is the result. Therefore the optimum (red circle) is on the border of the measurement section and requires an additional measurement in the neighborhood area. Additionally the track of the PSO particles is inserted. The colored lines are the particles that came to the end. 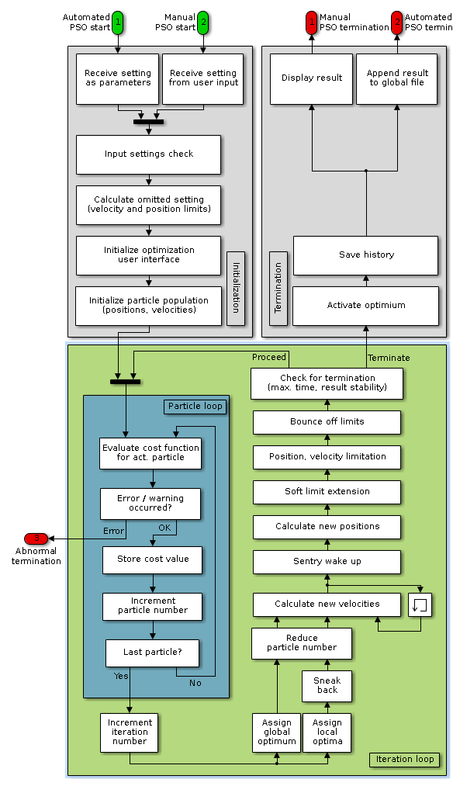 The grey dotted lines are the particles that were eliminated during the particle number reduction. The quick concentration behavior of the particles is clearly visible. Then especially close to the optimum they cover a lot of parameter combinations because of the sentry awakening mechanism. Therefore they likely get close to the optimum. This behavior is very suitable for technical optimization problems with measurement inaccuracies. Here you can download the installation files that are suitable for you. After installation, you can instantly discover the features in a restricted mode using examples. The full range of functions is available with some limitations regarding loading and saving of data. A trial license with unlimited functionality can also be requested. You can choose between an installation file that contains not only the SGE Circus but also the necessary runtime environment (MATLAB Runtime - MCR) and one that gets the runtime environment via download at the time of the installation. In this case, an Internet connection is required at the time of installation. In addition, you can only download the SGE Circus application if the runtime environment is already installed or the portable version is used due to lack of admin rights. Detailed information about the possible installation variants and how to solve problems can be found in our installation guide. You are interested in our services or products? You would like to receive more information? Please contact us! We provide you with individual information.